The quest to brighten and enliven the numerous disused public spaces underneath New York’s elevated infrastructure continues. Last year, the Design Trust for Public Space and New York City Department of Transportation (NYCDOT) presented the first pilot space in their joint Under the Elevated/El-Space program, which activated the space under the Gowanus Expressway in Sunset Park, Brooklyn. 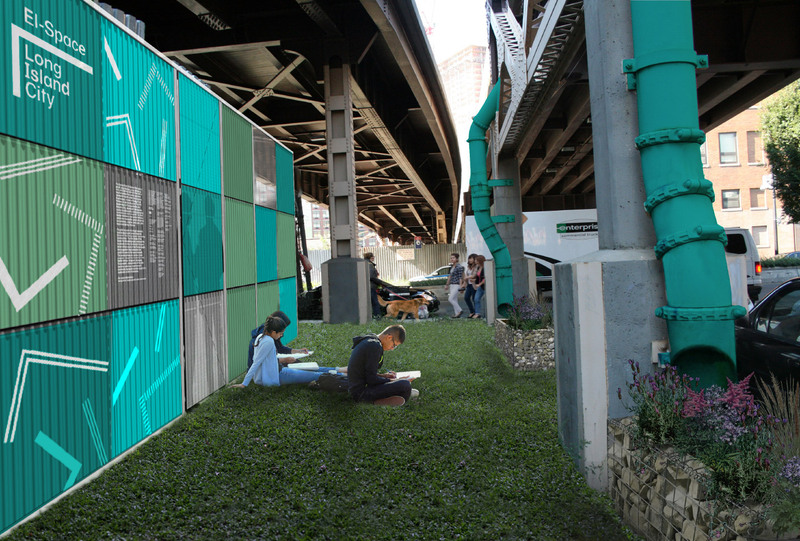 Now the Design Trust has released the first look at its second pilot space at Dutch Kills Street in Long Island City, which will turn the space below two elevated roadways into a sustainable community gathering space. The Dutch Kills Street site, much like the Gowanus Expressway “el-space,” will reroute runoff from the spaces above through stormwater drains. A set of gabion planters (wire mesh frames with a permeable stone filling) with low-light flora and an illuminated art fence will enliven the public plaza. As the Design Trust notes, New York has millions of square feet of public space that are sitting unused, often creating dangerous conditions for pedestrians. These dark, often-impermeable spaces can cut up neighborhoods and divide communities; the El-Space program is creating a comprehensive framework that can be applied city-wide for reclaiming these areas. El-Space 2.0 will open to the public on May 16 (interested visitors can RSVP here) as part of NYCxDESIGN. The El-Space Toolkit, a framework for officials, private stakeholders, and community groups that want to realize el-space projects in their own neighborhoods, is also in the works and will launch at a later date. The program isn’t slowing down, and the Design Trust–NYCDOT is working on their third el-space beneath the Rockaway Freeway in Queens. 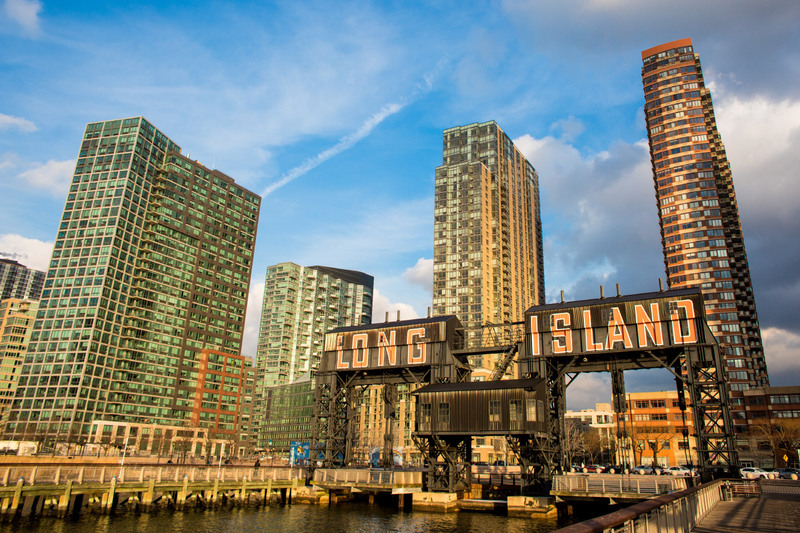 New York City’s outer borough may be getting yet another tall tower, as a recently revealed development in Long Island City, Queens, would bring thousands of residential units to an industrial corner of the neighborhood. As the New York Times reports, landlord Plaxall Realty has proposed converting its 15-acre riverside property into a mixed-use development that would include 5,000 apartments, 3.1 acres of public space, and 335,000 square feet set aside for manufacturing. The plan from New York-based WXY lays out not only retail and restaurant options for the site, but an additional 70-story tower that would become one of tallest in Queens if it were actually built. 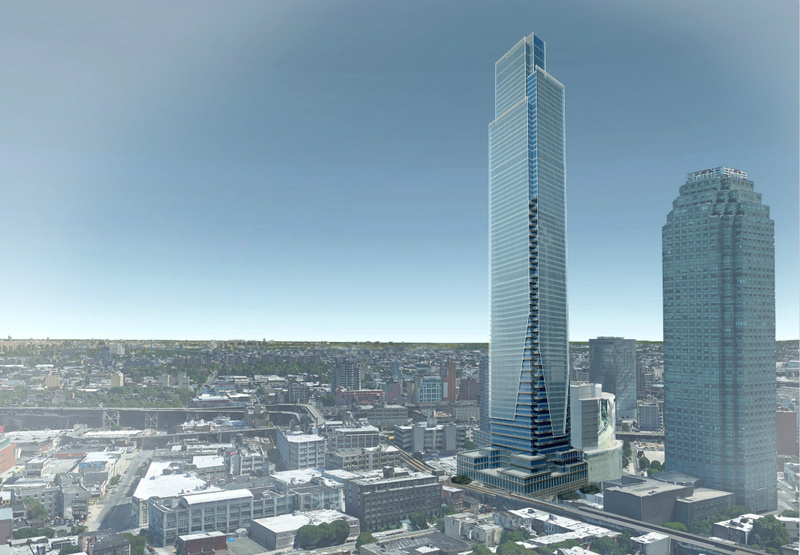 The borough has seen more of these projects lately, with the 984-foot City View Tower still on track to become Queens' first supertall tower. Anable Basin, the 1,000-foot long artificial channel that the development takes its name from, would anchor the 6-block complex. While Anable Basin was used as an industrial shipping port since its construction in 1868, Plaxall wants to modernize the inlet by ringing it with an elevated esplanade, installing flood barriers, and building docks for kayakers. 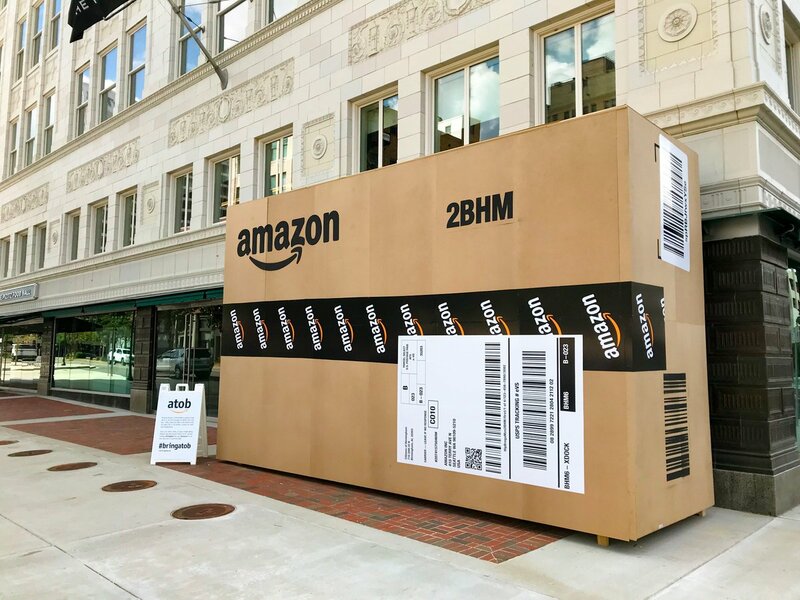 Plaxall, a plastic container company who used to house factories in the area, has also called for the creation of an “innovation zone” in the development. 335,000 square feet of light manufacturing space will be set-aside in a co-working and living style arrangement, and Anable Basin residents could potentially leave their apartments and head straight down to their ground-floor studio space. Such a large project would trigger the city’s Mandatory Inclusionary Housing (MIH) requirements, and Plaxall has stated that approximately 1,250 of the proposed 4,995 units would be affordable. The details released yesterday make no mention of how affordability would be determined. Converting an area historically zoned as industrial will come with a set of caveats. Plaxall will need to have the area rezoned, and may sell the entire parcel even if they can find a development partner. If the proposal moves ahead, the Anable Basin special district would allow the public to access a section of the western Queens’ waterfront that had been closed off for centuries. Already in possession of 13 acres, Plaxall has been confident that the private landlords holding the other two will be on board with the scheme. 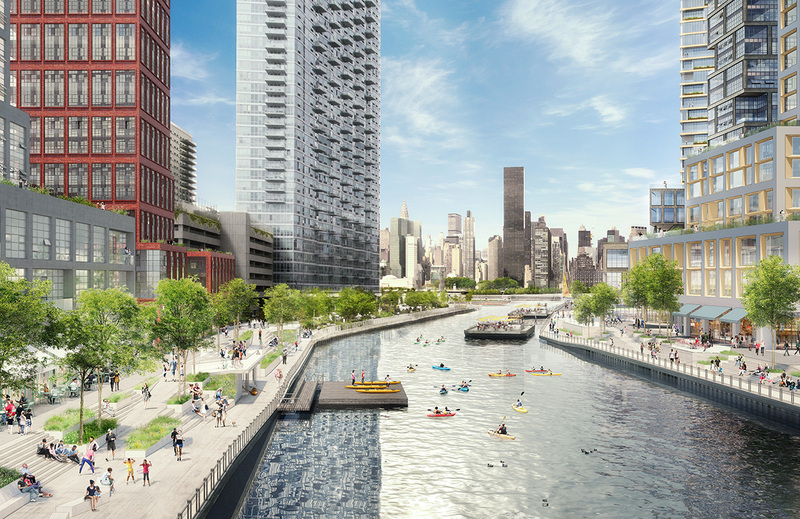 Paula Kirby, granddaughter of Plaxall founder Louis Pfohl, told the Times that Anable Basin was “a unique opportunity to really make a skyline for Long Island City,” The New York City Department of City Planning will hold the first public comment hearing in early December. Construction is slated to begin in 2020. 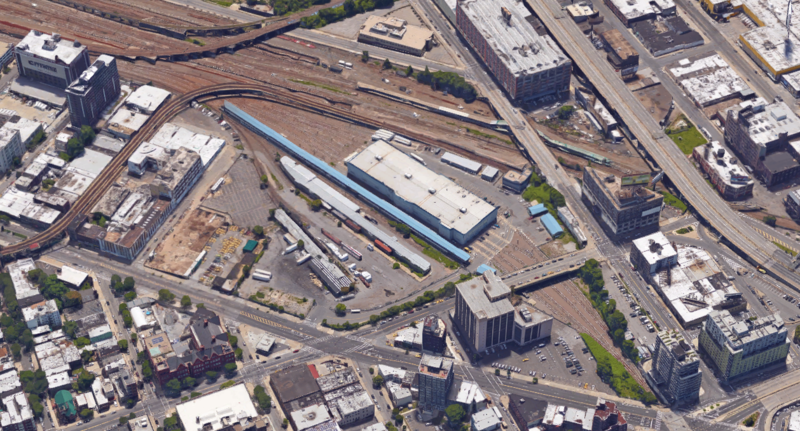 New York City is searching for the right developer to build green space, housing, and retail over a Queens rail yard. 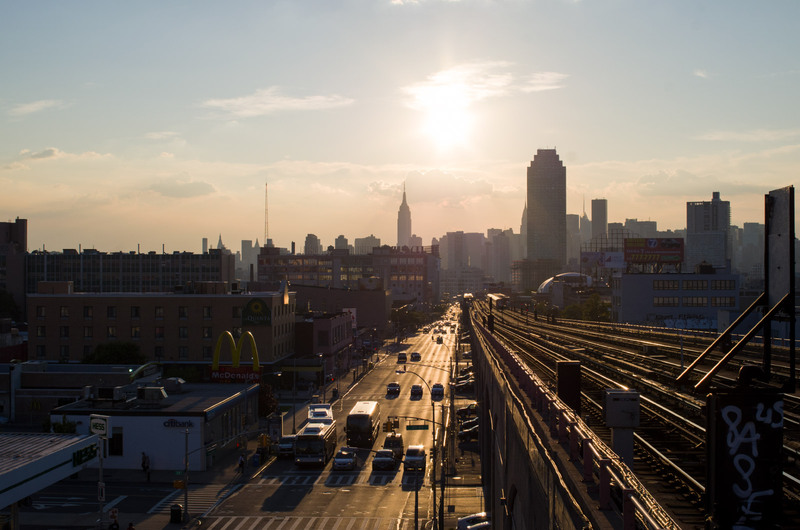 The New York City Economic Development Corporation (NYCEDC), in collaboration with the MTA, put out a Request for Proposals (RFP) for the project today. 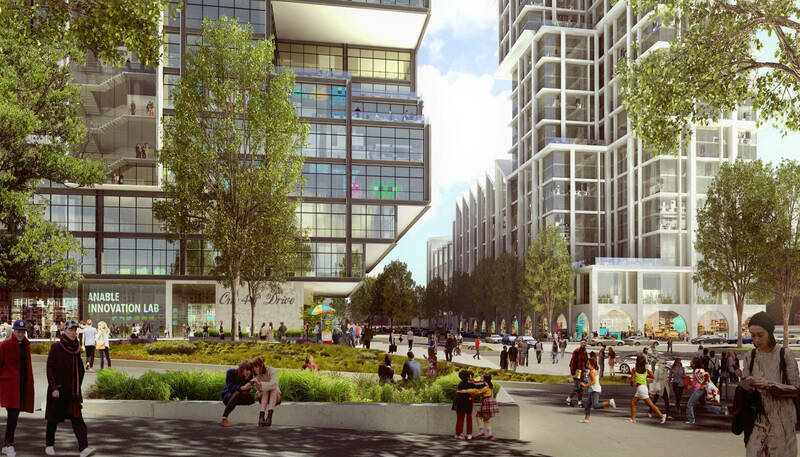 Developers would have the opportunity to transform a 58,000-square-foot property in Long Island City into mixed-income housing development that includes commercial space, community facilities, and public open space. The city owns the air rights to the site, which sits close to public transit and MoMA PS1. The Long Island Rail Road (LIRR) currently uses the site, which is bounded by Jackson Avenue, 49th Avenue, and 21st Street, for storage. Like Manhattan's Hudson Yards, the development would need to be built over the yard, DNAinfo reports. Per the RFP, submissions are due April 21. This article appears on HoverPin, a new app that lets you build personalized maps of geo-related online content based on your interests: architecture, food, culture, fitness, and more. Never miss The Architect’s Newspaper’s coverage of your city and discover new, exciting projects wherever you go! See our HoverPin layer here and download the app from the Apple Store. 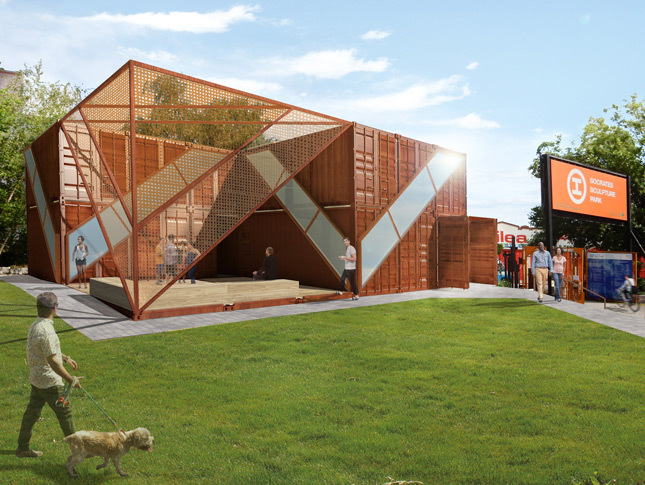 In conjunction with New York’s Socrates Sculpture Park’s 30th anniversary, NYC Parks released the renderings for “The Cubes,” a two-story, 2,640-square-foot building that will house the park’s arts education, gallery, and administrative offices—the first permanent home for its facilities. "Once an industrial landfill, Socrates Sculpture Park is now one of the city's most exciting, interactive, and accessible spaces for public art," said NYC Parks commissioner Mitchell Silver in a press release. "With the installation of The Cubes, Socrates will be able to host year-round programming, reaching even more New Yorkers. We're grateful for our partnership with Socrates Sculpture Park and look forward to growing and expanding this cultural gem on the waterfront." The design, by local architecture firm LOT-EK incorporates LOT-EK’s original commission by the Whitney Museum of American Art, which hired the firm to create temporary offices for the museum when it was in the process of vacating the Met Breuer. 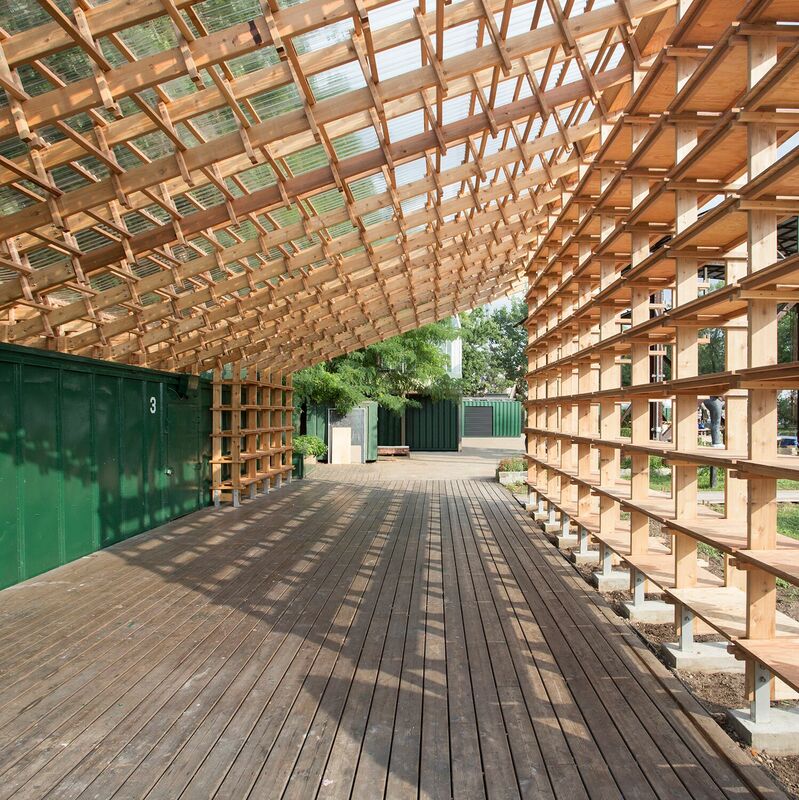 The initial scheme used six shipping containers in a 720-square-foot-structure, so LOT-EK added 12 additional containers for 18 total to compose “The Cubes.” This architectural process reinforces the park’s mission to promote reclamation and revitalization as part of being a good environmental steward. Additionally, the firm added diagonal glass bands along the sides and roof of the structure, creating chevron patterned windows that offer floor-to-ceiling views of the park and provide transparency to visitors. The roof will feature solar panels. Within the footprint, 960 square feet will be used for an indoor multipurpose and education space, 480 square feet will be transformed into a deck area for outdoor programming, and 1,200 square feet will be offices and administration space. "We are thrilled to create a new home that will expand our programmatic possibilities and secure our future as an arts organization in New York City," said John Hatfield, Socrates Sculpture Park executive director, in a press release. 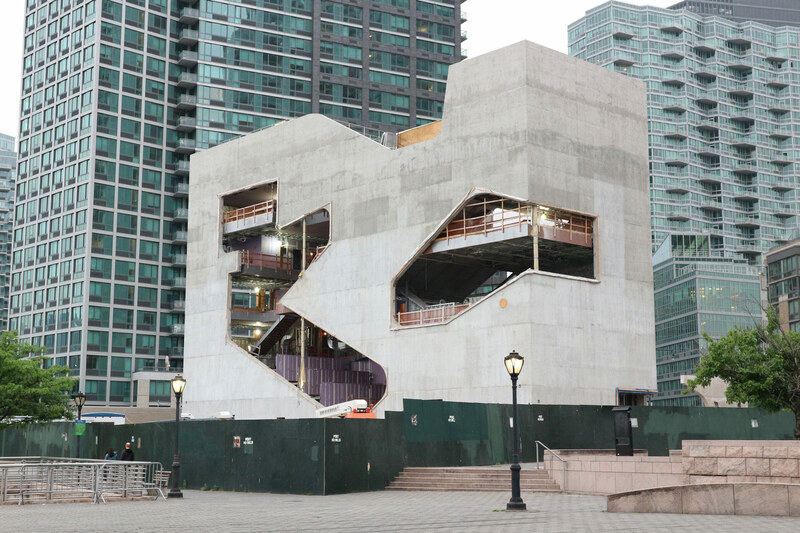 "LOT-EK's design is an innovative contemporary work of architecture that conceptually and aesthetically reflects the Park's history, connects to the Park today, and provides a platform for its future." Currently, the park attracts more than 150,000 people each year with its contemporary art exhibitions and programming that includes an international film festival, dance, opera, jazz, and theater. 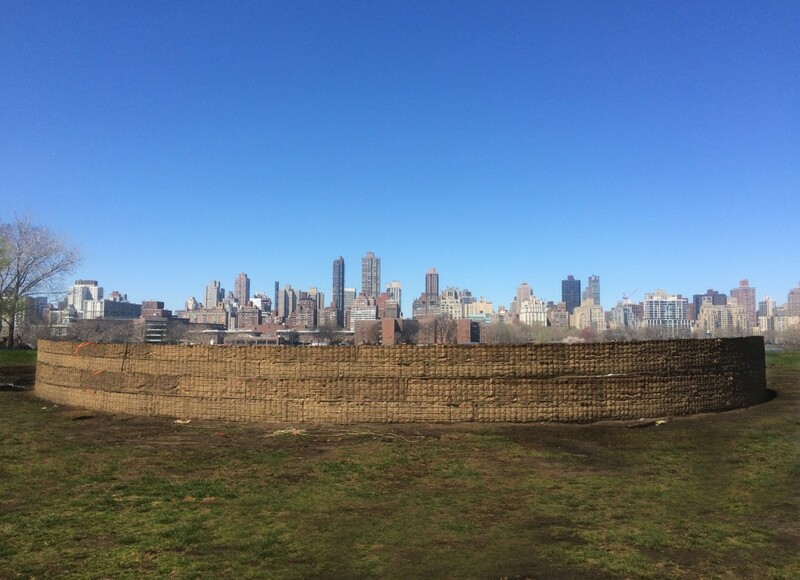 To honor its 30th birthday, Socrates Sculpture Park, the former dump-turned-art park on the banks of the East River, is presenting LANDMARK, a summer series of land art installations by eight artists, including a new earthwork, Concave Room for Bees, by New York–based Meg Webster. The series is a reflection on the changing neighborhood surrounding Socrates; the works engage gentrified Long Island City's cultural shifts and interrogate its economic transition. Webster's 70-foot-wide earthwork, which incorporates 300 cubic yards of dirt, attracts the flora and fauna of New York with a sculptural display of various soil compositions, and native flowering vegetation that attract pollinators. Nature-starved visitors can walk through the Concave Room for Bees on loamy paths to get a closer look at ecology in action. Since the 1970s, Webster has created indoor and outdoor work that features elements like water, salt, or moss, all arranged into geometric forms. When this piece is dismantled, the earth will be distributed across the park to give the topsoil a jolt of nutrients. Other works include a new piece, Half Moon, by artist Abigail DeVille, that uses found materials to explore the site's former role as a ferry slip and landfill. DeVille's scraggly shipwreck is a meditation on decay, public neglect, and contemporary issues of migration in Long Island City. Jonathan Odom's Open Seating is a series of 50 open-source chairs crafted from CNC-cut plywood and held together by ratchet straps (Odom created the designs and has released them online for others to replicate, gratis). The chairs, painted in languid pastels by volunteers, give visitors an opportunity to socialize, relax, and enjoy giant installations framed by the Manhattan skyline. LANDMARK is on view through August 28.